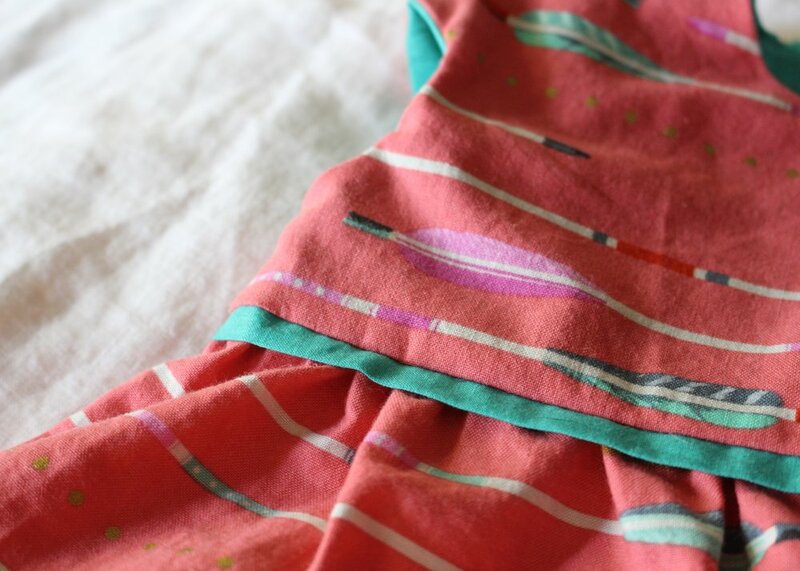 i first used this fabric for swingset skirts for nora and etta (blogged about here) and when this baby was born I knew it would be perfect for her as well. 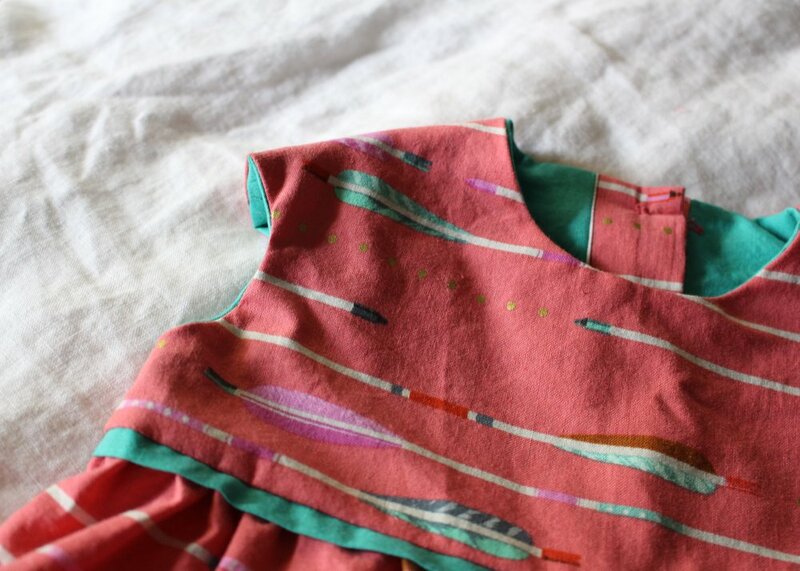 i wanted something quick so I whipped up a 6-12 month bubble dress bodice (an oliver + s pattern) with a gathered skirt. I used a coordinating solid teal for the bodice lining, flat piping, and hem facing, also from stonemountain & daughter. and some standard mother of pearl buttons for the back. 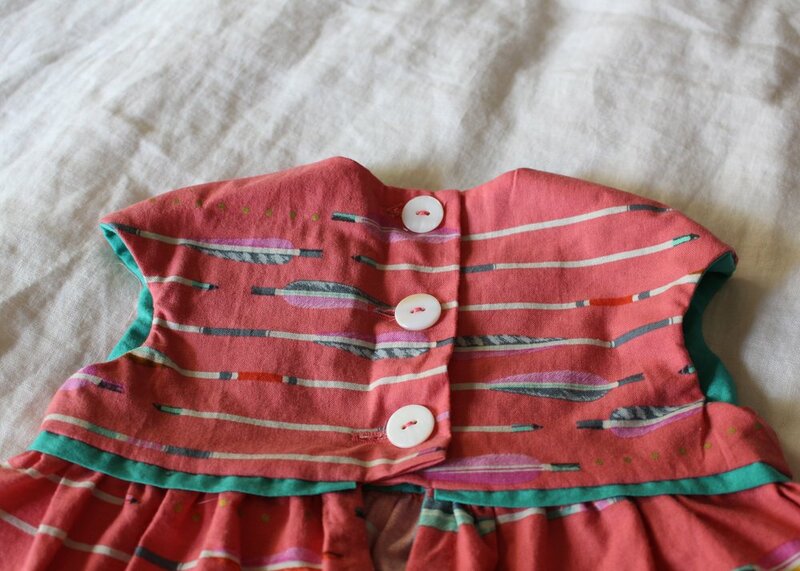 off to make another baby outfit!